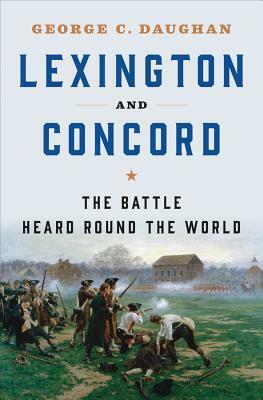 George C. Daughan's magnificently detailed account of the Battle of Lexington and Concord challenges the prevailing narrative of the American War of Independence. It was, Daughan argues, based as much in economic concerns as political ones. When Massachusetts militiamen turned out in overwhelming numbers to fight the British, they believed they were fighting for their farms and livelihoods, as well as for liberty. Benjamin Franklin was not surprised by this widespread belief. In the years prior to the Revolution, Franklin had toured Great Britain and witnessed the wretched living conditions of the king's subjects. They wore rags for clothes, went barefoot, and had little to eat. They were not citizens, but serfs. Franklin described the appalling situation in a number of letters home. In the eyes of many American colonists, Britain's repressive measures were not seen simply as an effort to reestablish political control of the colonies, but also as a means to reduce the prosperous colonists themselves to the serfdom described in the Franklin letters.